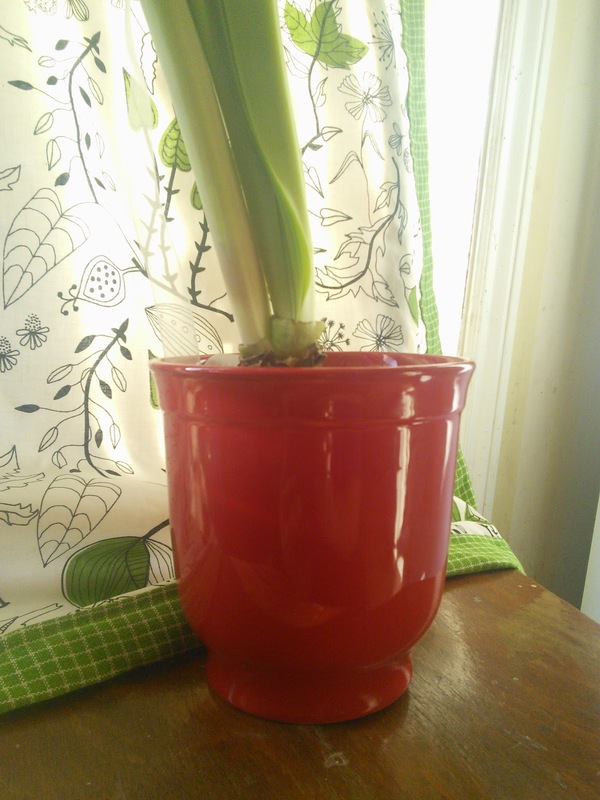 I found myself at a store that had amaryllis bulb growing kits on clearance. but the lovely pot that came with the kit! Glossy red - the perfect red! It's 6.5" tall, about 5.5" across the top - beautiful!! The amaryllis bulb was just an added bonus! Within two days I noticed a wee bit of fresh green brightening the pale leaf shoots. slowly began to gain ground in the height department. Watching this plant was almost akin to Jack and the Beanstalk! 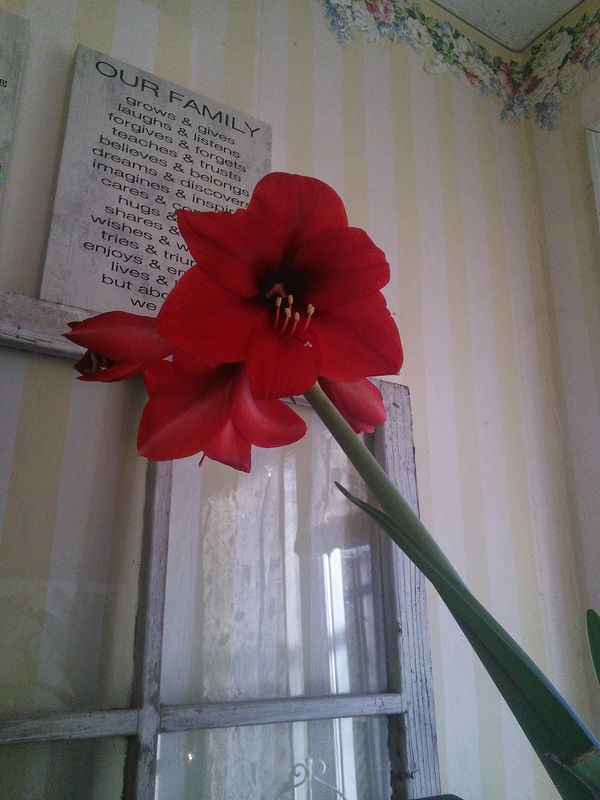 Okay, not quite like that, but this amaryllis grew several inches each day! Do you remember The Friendly Giant? "Look up, wa-a-ay up!" 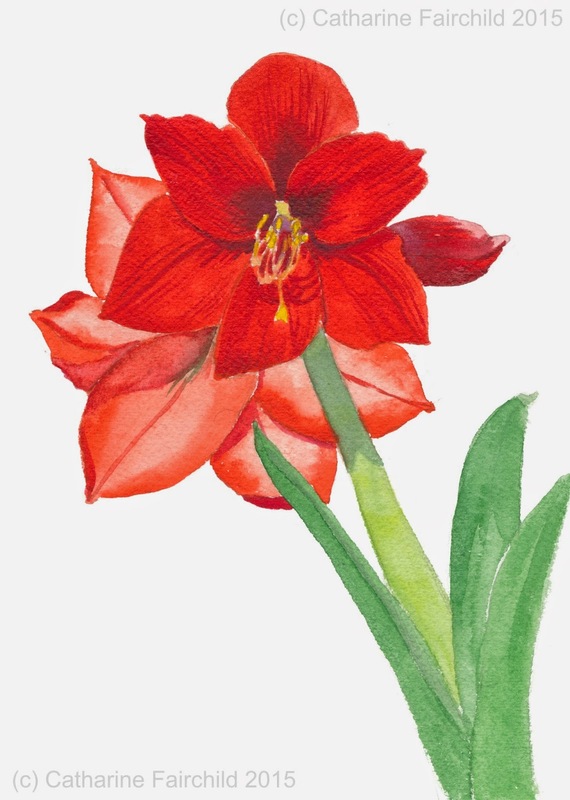 This amaryllis, over a period of 2 1/2 weeks, stretched up to 26"
as though a natural compass, pointing North, West, South, and East. and by the end of today the North and South blooms should be fully opened too! All because I liked a pretty red pot! So pretty Catharine! I'm a "red" person too - love the colour!